Brave yourself y'all...its November and the holidays are coming. We are weeks away from Thanksgiving dinners, company parties, family celebrations and so on. And while it is amazing to be able to spend quality time with our friends and family and give thanks for each and everyone of them, I know what it is like to get little ones and yourself ready. Getting the little ones dressed, while making sure the side dish I'm bringing doesn't over cook, sometimes I forget to get the kids' hair brushed. Or it is just last on my list and I am in a rush. My favorite gathering is our pajama party on Christmas Eve, because it is so relaxed and there isn't much pressure to be all glam, but I still don't want to look like me and my daughter have bed head! So working with Johnson & Johnson again on their No More Tangles line, I wanted to feature this easy, manageable hairstyle for girls, that could also maintain when they have to put on a hood or their winter hat with. 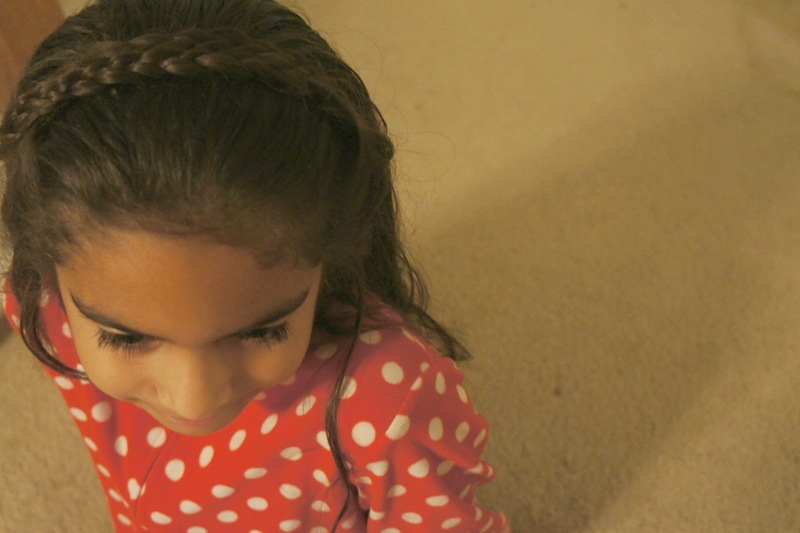 It's a braided headband! And only takes 2 bobby pins to hold! And style using a brush or wide tooth comb and a Detangling Spray. Think you can create this look for the holidays? The great thing also is that a braided headband is a style that can be taken out and freshened up without ruining the original look. JOHNSON’S® Baby YouTube Page has more hairstyles and tutorials. And you can follow the conversation in social media by using the hashtag #NOMORETANGLES.